If you’re sitting on a chairlift in Park City, Utah, surrounded by snowcapped mountains and crisp winter air, you’re in the ideal situation for eating a Svetty Ball. There’s nothing better than taking off that sweaty glove and reaching into the depths of your coat pocket for a taste of the sweet goodness of a Svetty. They’re the perfect midday treat and small enough to throw into a Ziploc to take with you anywhere. And what’s better than eating a Svetty Ball when you’re craving one? Forgetting that you have them, realizing that you want one, rediscovering the treats and devouring them. So make them, carry them with you, forget about them, find them, eat them and love them. 1. 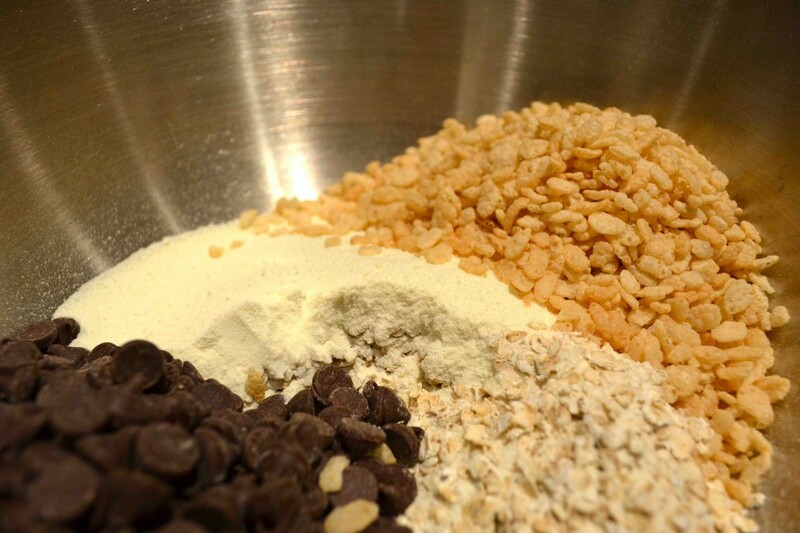 In a large bowl, combine oats, powdered milk, Rice Krispies, and chocolate chips. 2. Drizzle honey over dry mixture. 4. 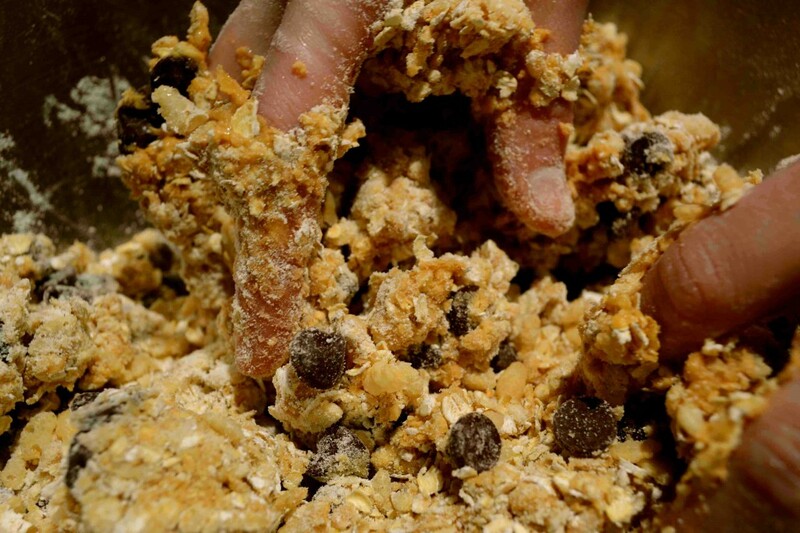 With your hands, combine wet and dry ingredients until everything is fully incorporated. Warning: this takes time, muscles and willingness to get your hands dirty. 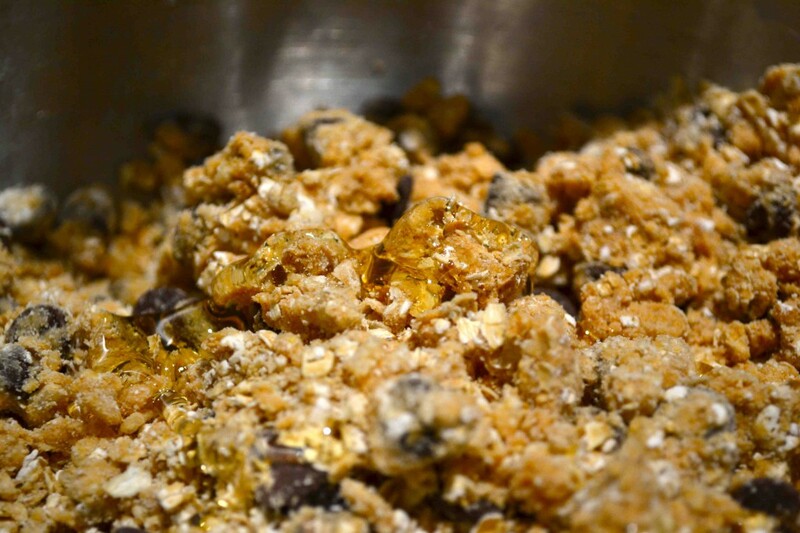 *If mixture is still crumbly, add honey and peanut butter until it all sticks together. 5. Compact the mixture into as many 2-inch balls as you can and eat ’em up! 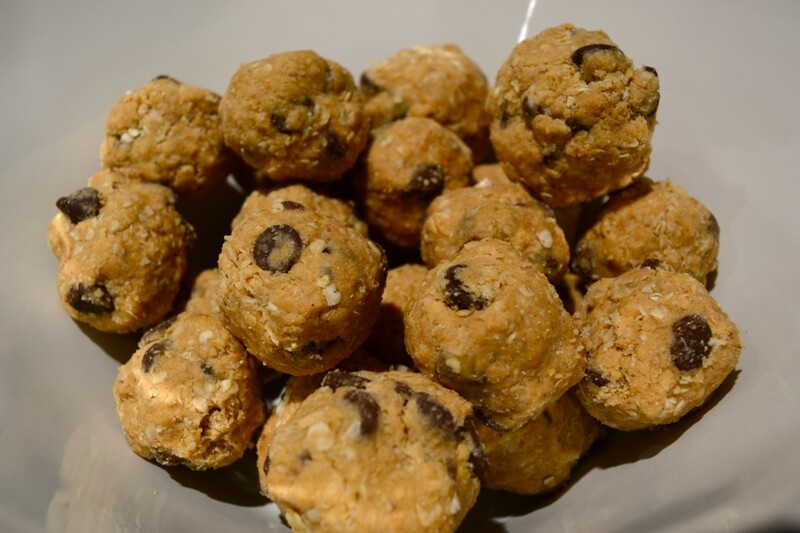 Svetty balls are best when cold, so pop them into the fridge for a snack tomorrow.